Tufel Media can help you get the most out of popular hashtags, niche hashtags and local hashtags, all on Instagram! Through researching and studying your city’s local hashtags, we will able to show you that your customers are already talking to one another on Instagram. It is a great opportunity to post rich content while using the same hashtags they’re using. Soon they’ll be able to connect with you. As you gain local followers, show them your appreciation. Reward your loyal Instagram followers with exclusive discounts and specials that are not available to other customers. Think local, but act global! 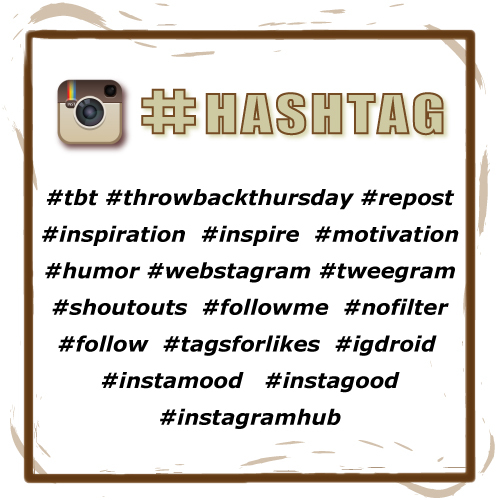 As you become familiar with popular Instagram hashtags, you’ll notice that they’re constantly changing. We make sure to stay on top of the most popular hashtags overall as well as those in your industry. The brands who are building loyal customers are those who are building relationships through the use of hashtags. One way is by inspiring their followers to share their own photo stories via contests and giveaways using a brand related hashtag. Give your followers an incentive for them to recommend your brand to others. You’ll see that by utilizing a great hashtag, it can catch on and become viral. Once you become familiar with the popular hashtags in your industry. It is important to be aware of the more specific hashtags for a niche market. Our team can do a thorough study of keywords in your niche market. We’ll research more specific hashtags to include along with the popular ones and make sure that your brand has the greatest visibility on Instagram.